Home / Ricetta / Sea bream carpaccio with tropea red onion and vanilla-flavoured oil. 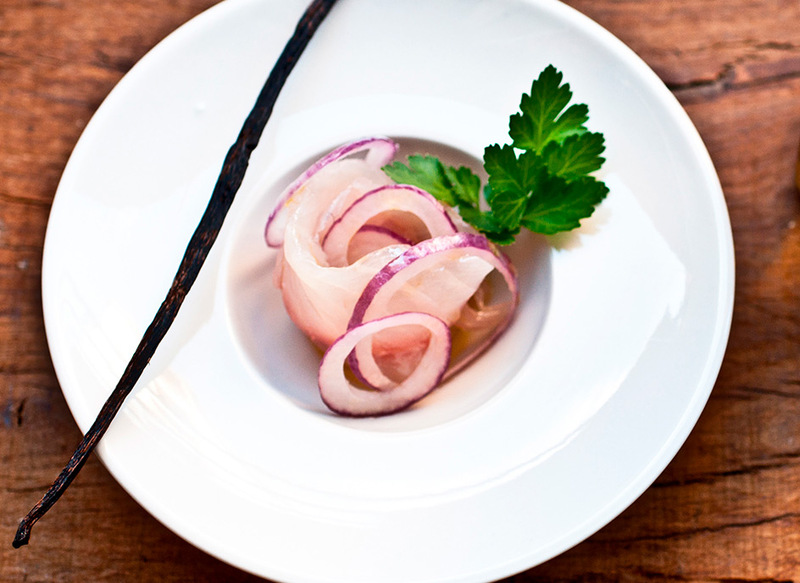 Sea bream carpaccio with tropea red onion and vanilla-flavoured oil. Picture yourself on a rocky Mediterranean beach. Breathe in the fragrant air: you will recognise the same aromas in this recipe. Brought to you by Peperoni e Patate. Clean the sea bream, previously blast-chilled or frozen for 96 hours, and remove the head. Remove central bone, then fillet flesh to obtain ultra-thin carpaccio-style slices. You can ask your fishmonger of choice to do this for you. Cut the red onion into very thin slices: use a mandoline for a uniform result. Place the sea-bream carpaccio on a plate and distribute the sliced onion on top. 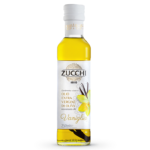 Finally drizzle with a little vanilla-flavoured oil and season sparsely with flakes of Maldon salt. Originally from Calabria and an adoptive Milanese. 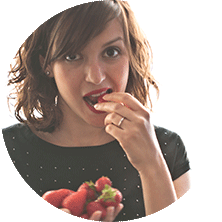 The web, and cooking, have changed her life for the better, defining her profession and prompting her to make a living out of everything she love.